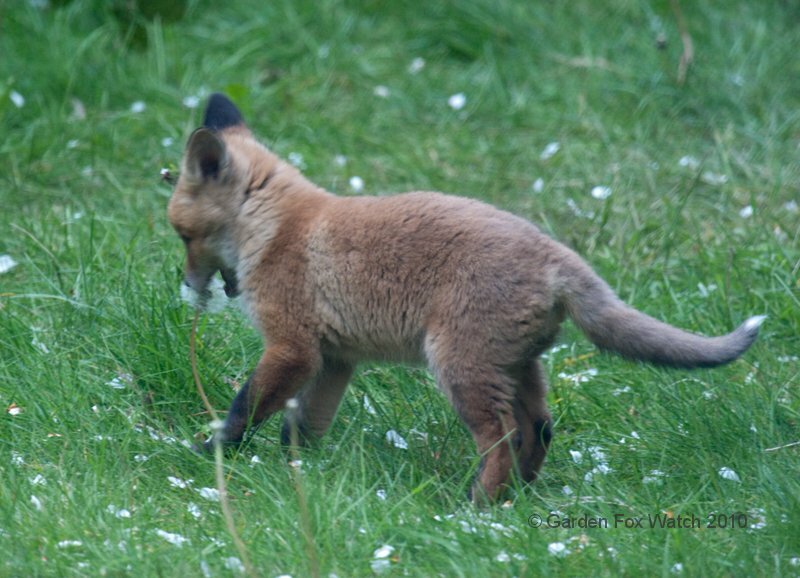 I don’t know what the dandelions in my garden have done to deserve it, but the foxes suddenly seem very interested in them! 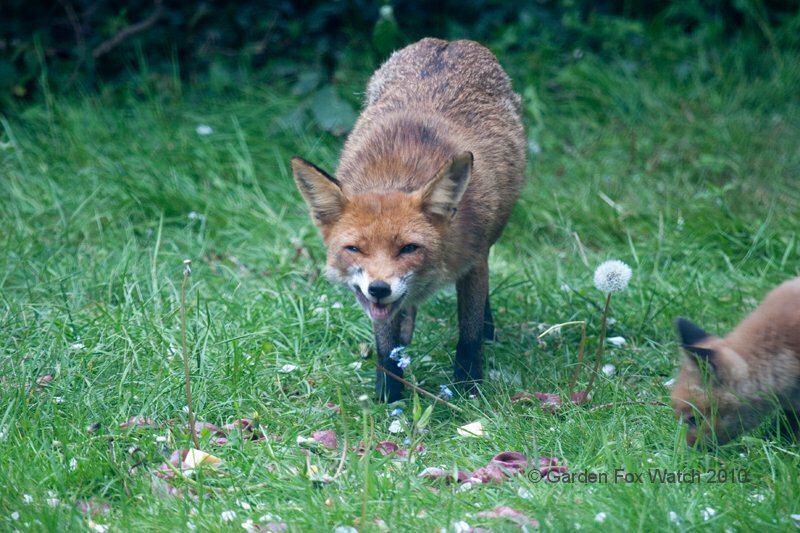 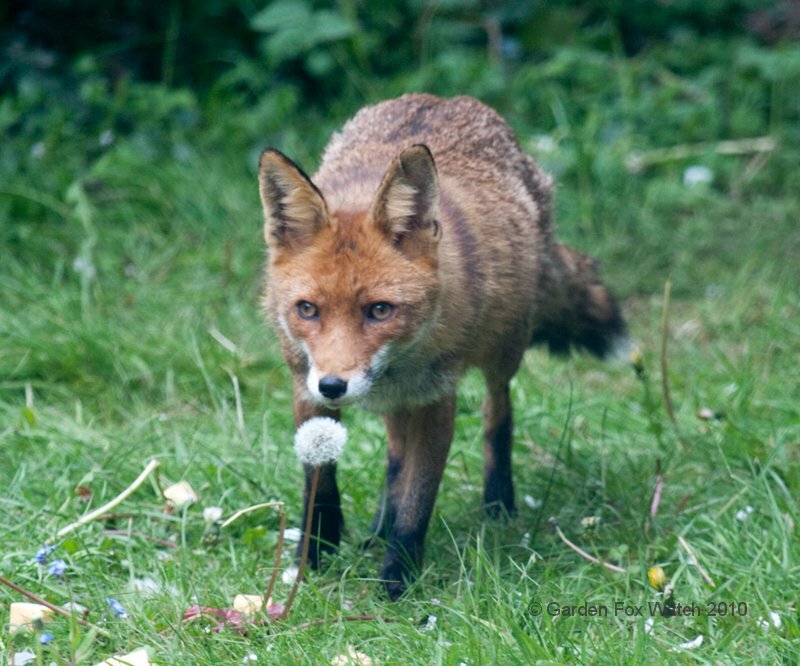 (All right, perhaps it’s because the dandelions concerned were in the middle of the food I’d put out for the foxes.) 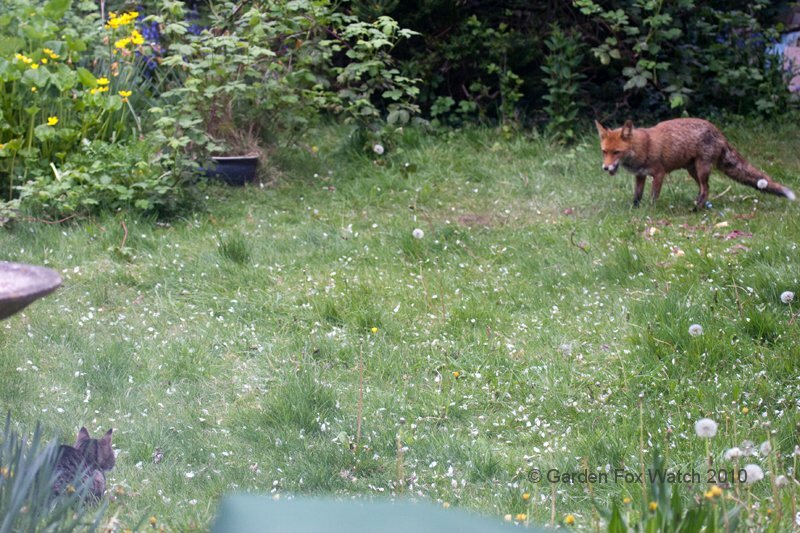 Also, photographic evidence that at least one of our cats is not all that concerned about the foxes; watchful, rather than worried.